In any case, here’s the first wedding post! 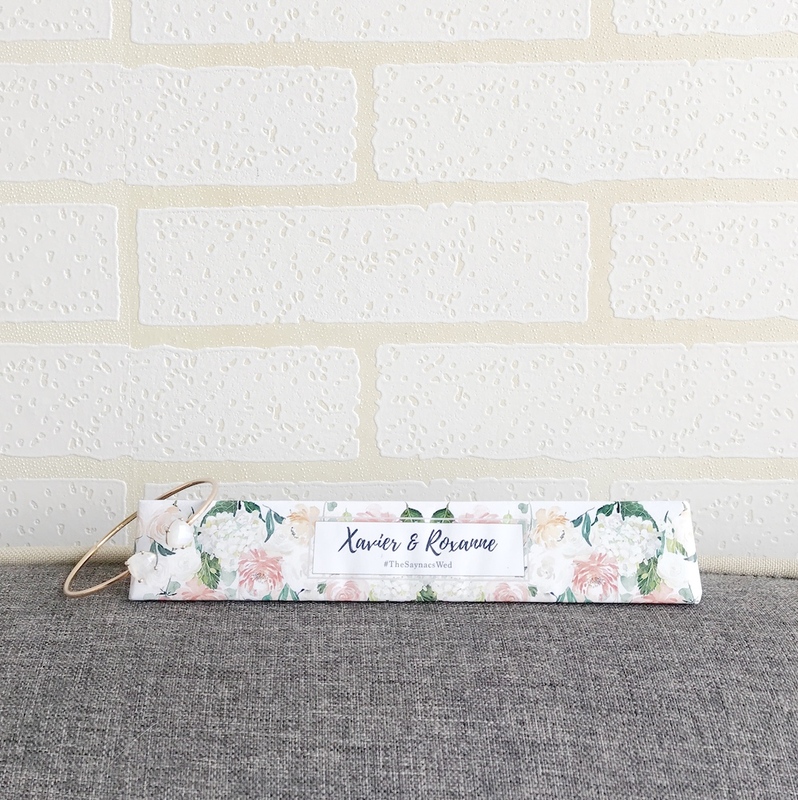 It turned out to be a miscommunication of sorts, where I found out exactly a week before our wedding day that we, in fact, did not have any wedding favours ready for our big day. I had thought the restaurant’s package included the favours from a third party vendor, but we were actually supposed to have contacted the vendor ourselves. Was I stressed? I guess you could say that. But stressing over stuff was never really one of my thing, so I searched everywhere and found A Love Knot on Carousell and IG. I contacted them and lo-and-behold, managed to collect our order of about 130 customised Toblerone bars the day before our wedding! These were the last 2 bars that I somehow scavenged from my parents place about a week after the wedding. We were so busy the entire wedding weekend that Xavier and I didn’t even save any favour for ourselves, so pardon me if these photos look a little bare. Aren’t they just so pretty? I picked a floral design that A Love Knot already had, and just told them the words that we wanted on both sides of the bars. 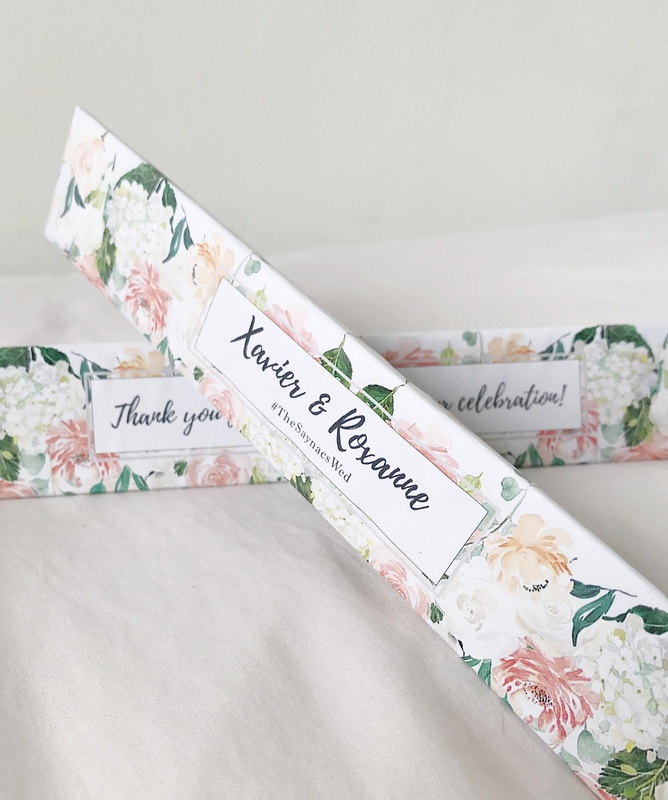 The whole experience was relatively simple and stress-free, but a large part of it was because we had a small order size, I was quick to decide and we were both pretty chill about how the favours looked. Bridezilla no thank you! Everything on our wedding day turned out perfect. Even though our wedding day invitation cards, wedding favours, bridal and bridesmaid flowers, and venue floral decoration were all from different vendors (so we didn’t have the exact same flowers for everything and all that), everything fitted very well with one another and the entire feel came about just nice. Here’s a tip: Just think about the main colour scheme for your wedding day and stick with a maximum of 3 main colours. Use this theme for everything, including the entourage’s attire. Ta da! Planning a wedding should be fun, even though it is hectic and there are many changes along the way. Just go with the flow, have good support and everything will be over faster than you know it. *To be honest, I don’t really give as much significance to a lot of things in life as many other people do. I’m just nonchalant by default. 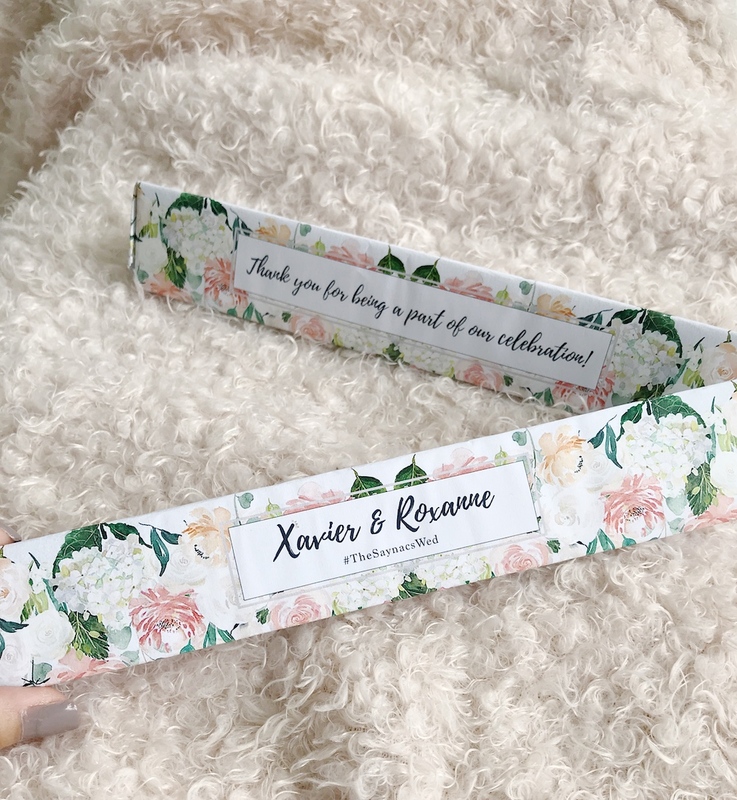 Our Wedding Favours: A Last Minute Scramble was last modified: December 6th, 2018 by Roxanne C.